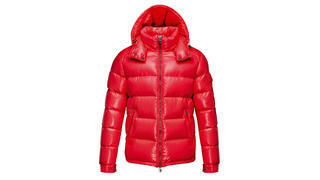 Ruffini, now in his fifties, still has a Moncler jacket. And it is because of his efforts that many others who did not grow up on Vespas in Italy also wear this now iconic outerwear label. Because, while the brand had its fashion crossover moment some 30 years ago, it eventually faded, until Ruffini bought it in 2003 and set about reviving its fortunes. The potential was there, he felt, because Moncler had a great history. Founded in 1952 in Monestier-de-Clermont (the brand name comes from this town near Grenoble, France), it originally made gear for climbers, including tents. It was when it started to make quilted, goose down jackets, based on sleeping bags, that French mountaineer Lionel Terray got involved. After kitting out some serious expeditions (Karakorum in ’54 and Alaska in ’64), Moncler became the official supplier of the French Olympic downhill skiing team in 1968. Ruffini knew this story well and he had a hunch that the jackets could make the journey from peak to pavement once again. Today, Moncler stores are in Alpine resorts and luxury shopping streets the world over and Ruffini has achieved his aim of having women wear Moncler jackets to La Scala as well as to lunch at La Marmite in Corviglia, St Moritz. 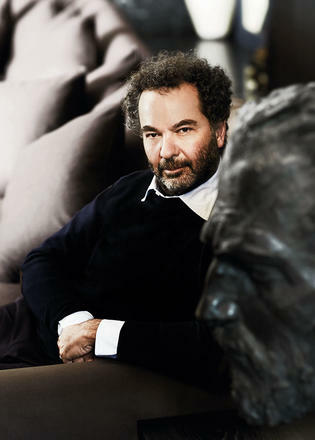 And though he is adamant that his is not a conventional fashion brand – “Moncler is not a fashion company, it’s in the luxury market now because this is the market” in terms of luxury and fashion credentials – Ruffini can lay claim to creating the kind of brand status that few can dream of. And, in 2013, his vision led to Moncler achieving the most successful European IPO of the year. a question of making it not too heavy.” But then Ruffini has been investing in R&D to make his products lighter and lighter. There’s already a piece that works on a boat. “The light jacket is 100 per cent waterproof and windproof and it’s perfect for sailing. I really want to consolidate winter but I think in the near future I want to also talk to people who love the sea, who love to race; I’d like to make a specific product for them.” He’s already dipped a toe in the water, as it were. 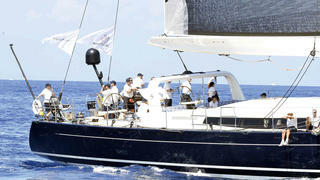 In 2013, as part of its sponsorship of the Perini Navi Cup in Porto Cervo, Moncler kitted out the participants in its technical “Grenoble” collection. During the summer he goes sailing every weekend when he isn’t working. He says that to be on board even for as little as two days feels like a vacation. He clearly believes Moncler should be for a customer who, like Ruffini himself, moves between city and mountain and beach. “People travel a lot, people want something light, something comfortable, something that’s prepared for the weather, that you can put in your luggage but doesn’t take much space.” And, of course, something that looks good.